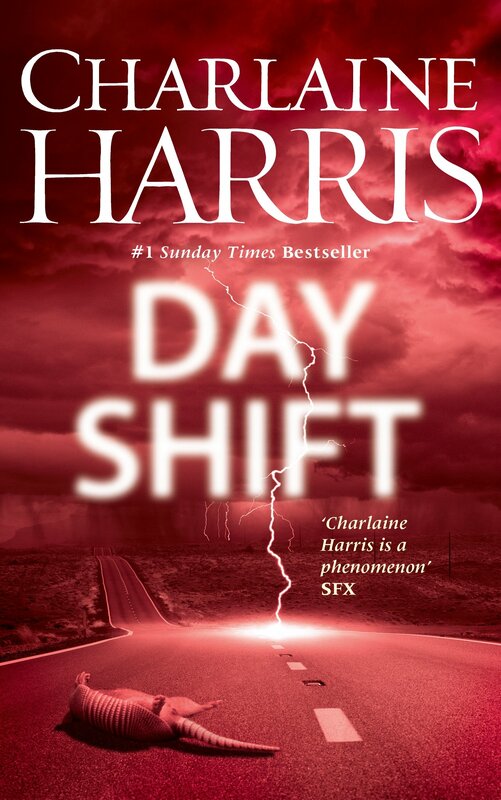 Day Shift is the second novel in Charlaine Harris's Midnight Texas series, following on from the quite excellent novel Midnight Crossroad we reviewed in May last year. It's a welcome return to the inhabitants of the strange small cross-road town that is Midnight. There doesn't seem to be more than a few inhabitants that are entirely human, even less who are human without an unusual power. As with the previous book Manfred acts as principle protagonist although we get scenes from most of the Midnight inhabitants — including a few new arrivals, two of which readers of the Sookie Stackhouse novels will recognise. Oliva also plays a large part in the story, this time however without her unusual boyfriend Lemuel who is off on a hunt to translate the book he found towards the end of the previous book. I was slightly dissapointed at Lemuel's absence as he's my favorite character of the series but I can see why he had to be absent for this story to work. We are once more treated to more questions than answers although a picture is beginning to build up as to just how unusual the population of this tiny town actually are. This time it's the small issue of one of Manfreds personal clients dying while he's holding a seance that triggers problems in the town, that and the arrival of a small boy who seems to be growing faster than small boys should. The plot follows these threads and after meandering through the town and larger area, the ending when it comes, is sudden and a little unexpected. As with the first book it's also a more realistic outcome too — if you are looking for everything to wrapped in a big bow then you are in the wrong place. The authors writing is once again warm and comfortable, acting as the literary equivalent of a relaxing in a comfortable arm chair with a hot drink by a warm fire. I would have liked to learn more than I did in this book, Harris holds a great deal back and at times I felt frustrated with a lack of answers. The questions have kept my interest however and I must admit I am eager to see where the author takes the series. Day Shift is a rewarding read, a solid story with some great characters in one of the most promising urban fantasy series I've seen since the Dresden files. Written on 22nd May 2015 by Ant.